From ancient times, a woman is designated as Goddess Lakshmi. Because it is believed, their footprints signify glory and bring wealth in a family. To prove this quote true, a dynamic and versatile Iitian, Varun Verma along with Tanmay Patil introduced an online platform which provides high-quality products at wholesale prices which get delivered to their doorstep. The motive of Ample is not only to benefit homemakers as well as to give maximum profit to everyone. That’s why whether they are retailers, small businesses or women, all can become a part of this organization by becoming a member of the Ample. The Chief Executive Officer of this group, Varun Verma, who started his career as a consultant with Fractal Analytics, within a less time founded a chain of fast food restaurants called RushHrs, is now serving the nation by providing opportunities to everybody in terms of savings. People can now save more by buying branded products at a lower cost. Moreover, they can maintain their lifestyle in an effective manner by keeping their standards up at a lower cost. This is what Ample Wholesale consists of. My message is loud and clear but it will be clearer with the following powerful message delivered by Varun Verma, Founder & CEO, Ample Wholesale. People can now save more by buying branded products at a lower cost. Moreover, they can maintain their lifestyle in an effective manner by keeping their standards up at a lower cost. This is what Ample Wholesale consists of. My message is loud and clear but it will be clearer with the following powerful message delivered by Varun Verma, Founder & CEO, Ample Wholesale. Ample wholesale shutdown around 6 months back, are they coming back or you were simply not aware about it. 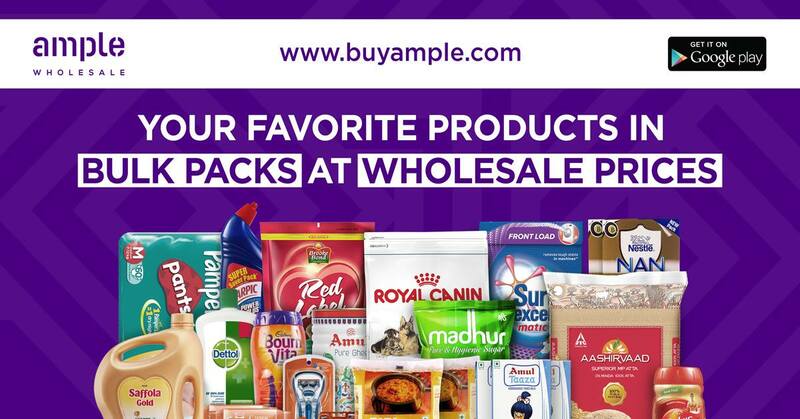 Dear, I covered Ample wholesale a year ago so, updated it on my WordPress blog too and not in Mumbai so wasn’t aware of the fact Ample has shut down..